Take time out from the city’s pace at our exclusive spa in Charleston. Anticipate full body rejuvenation from an energizing treatment menu. Each indulgent experience works to soothe limbs, boost energy and dissolve tension for a renewed sense of self. Whether you’re here for business or pleasure, our spa is an unmissable treat. 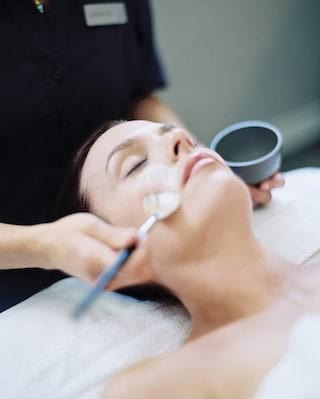 Experience the next generation of beauty with this sensational 100% natural facial. This unique treatment is specially designed to transform your complexion without a single drop of synthetic ingredients. Maximum indulgence, zero guilt. Our products achieve fast, visible results, refining the complexion in a non-invasive way. Plump, purify and hydrate skin with customized SkinCeuticals products that address your own unique needs. Featuring advanced technologies that work to optimize skin health, a brighter, more youthful appearance is guaranteed. Choose the perfect treat from our elegant gift shop. From indulgent spa products to luxurious bath robes, a gift from The Spa at Belmond Charleston Place is the perfect option for those who deserve the best. Join us to increase awareness of—and help prevent—skin cancer. The Spa at Belmond Charleston Place presents the ‘I Will Reflect’ social media initiative. Aimed at educating, the campaign features prominent Charleston ambassadors and important sun safety messages. Follow us on Instagram @charlestonplacespa and join the conversation by using #IWillReflect. Ease away stress with our pampering Tata Harper facial. Then savor delicious dishes in our award-winning restaurants, accompanied by inventive cocktails.